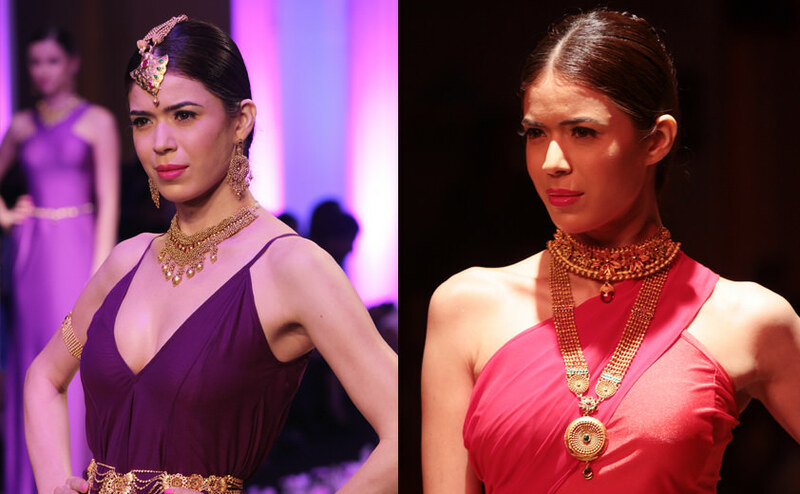 With Alia Bhatt as a showstopper and her memorable first on the ramp, Azva was off to a sparkling start at the IBFW 2013, with the Shillong Chamber Choir celebrating a medley of luxurious lounge worthy dresses created by Wendell Rodricks and paired with stunning gold jewellery from Azva. 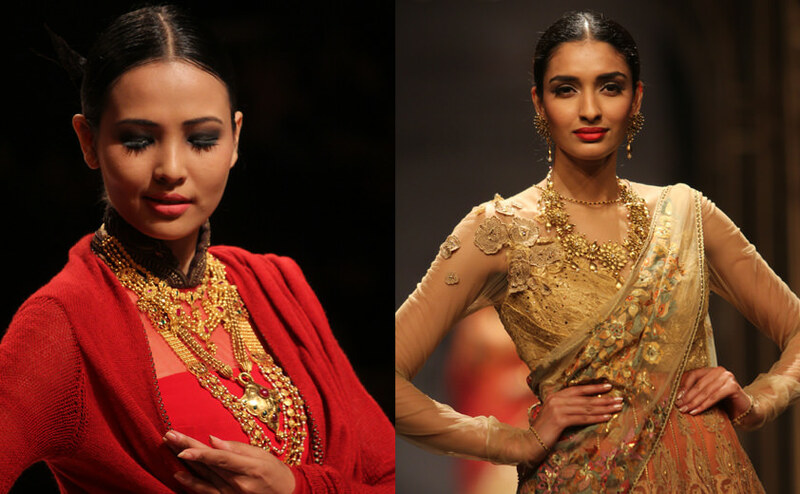 Versatile as they are, redefining the styling to best showcase the fire of a modern gold piece celebrated gold, the country’s favourite in a new avatar. 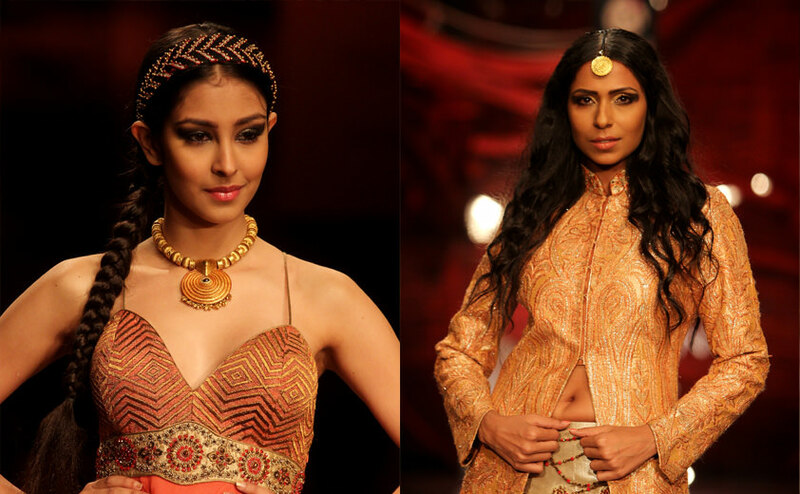 Both in Delhi and Mumbai, JJ Vallaya, Rina Dhaka and Raghavendra Rathore were the designers who showcased their collections masterfully paired with Azva creations. 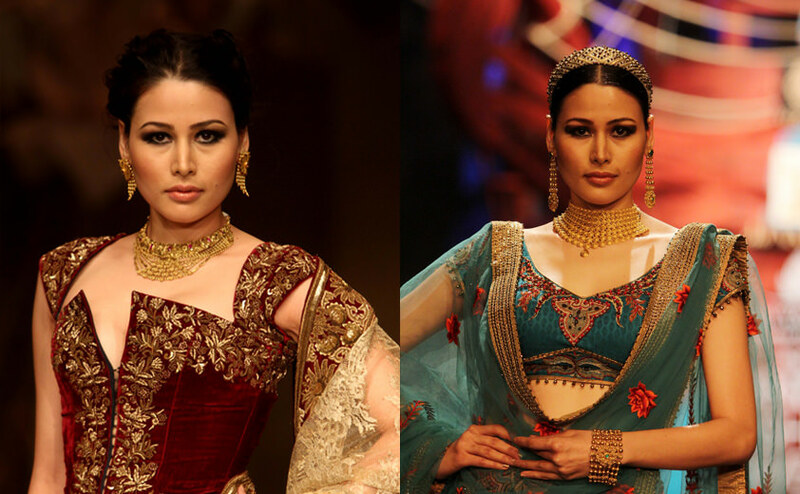 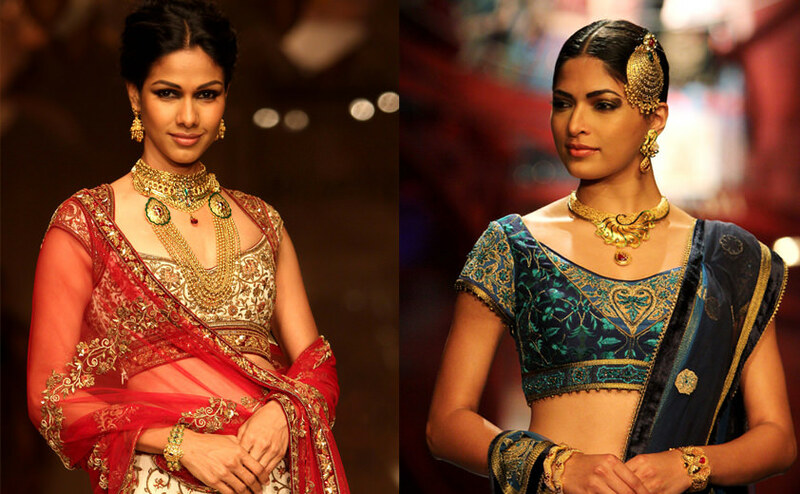 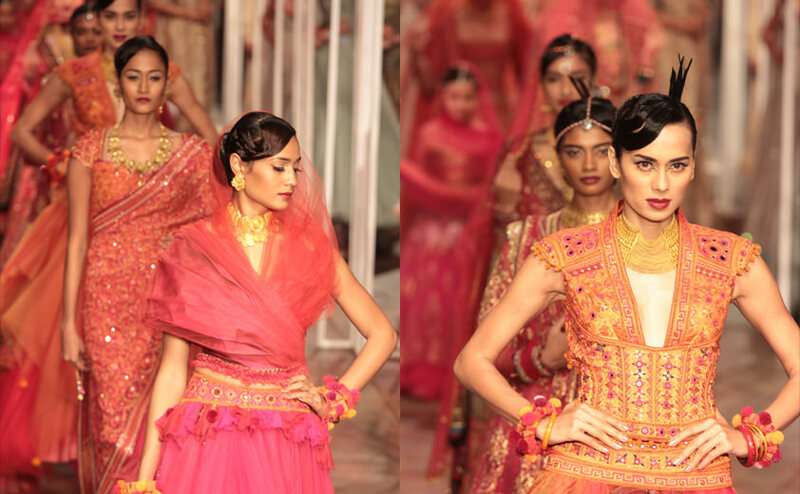 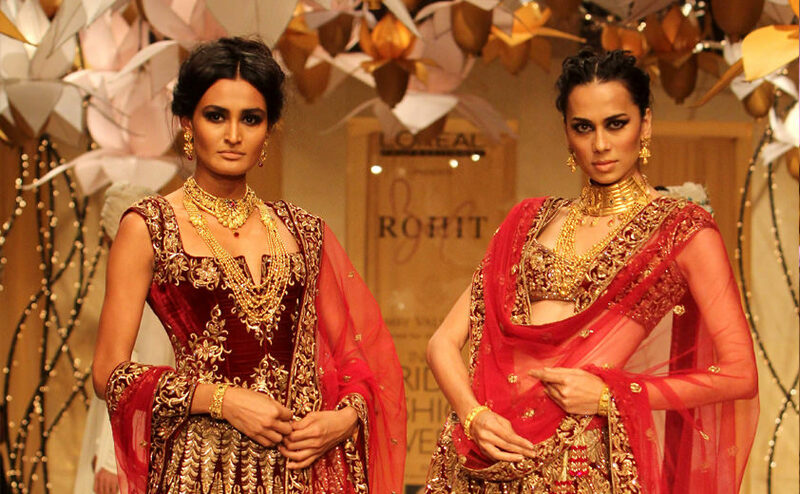 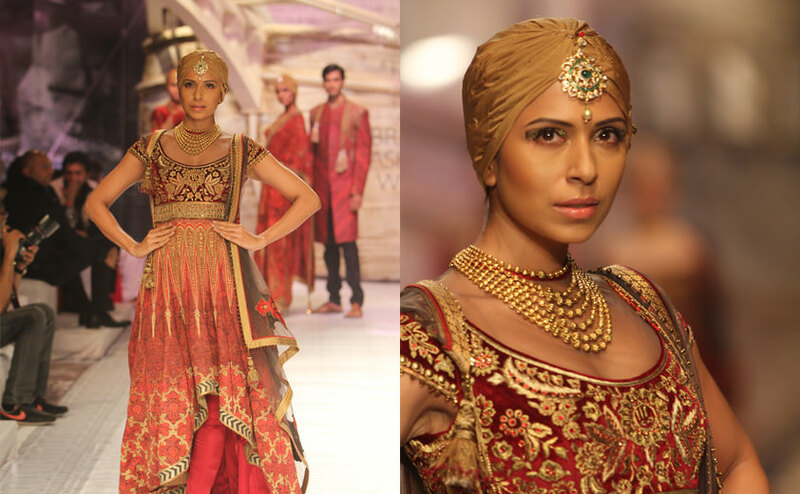 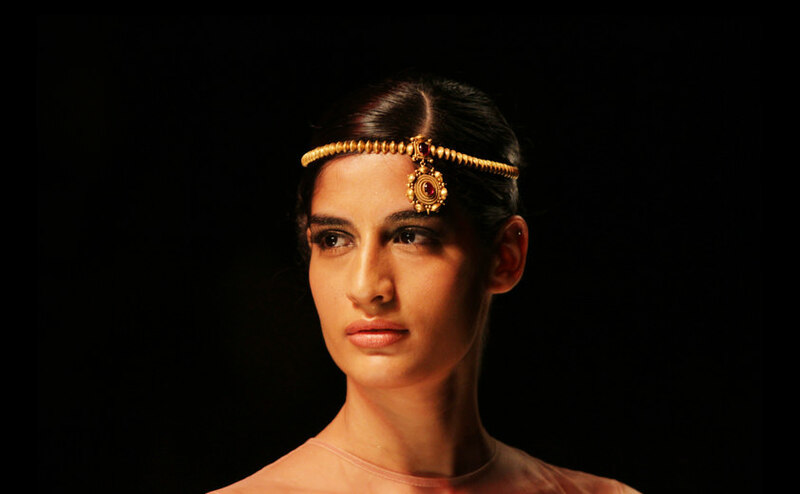 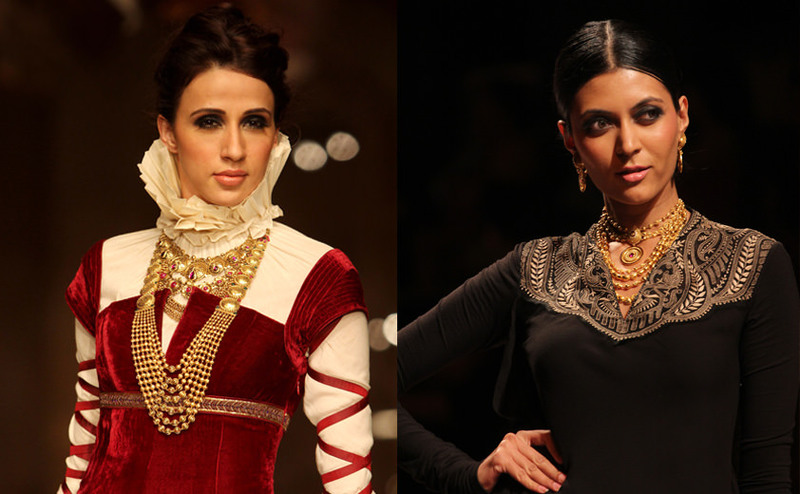 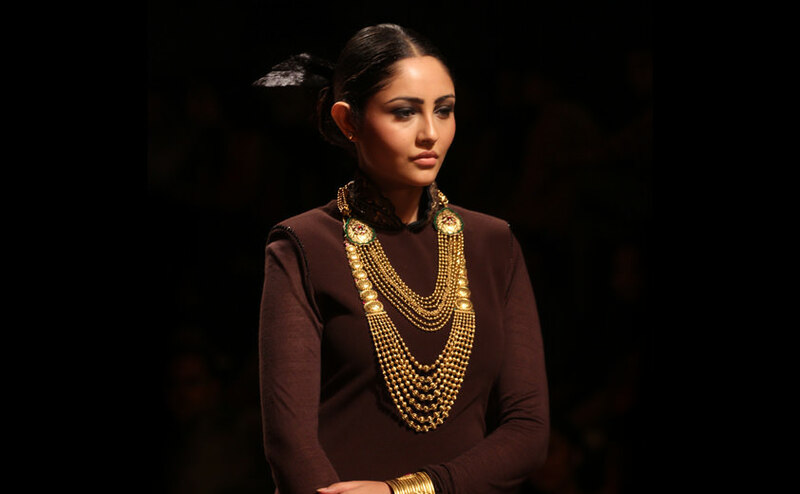 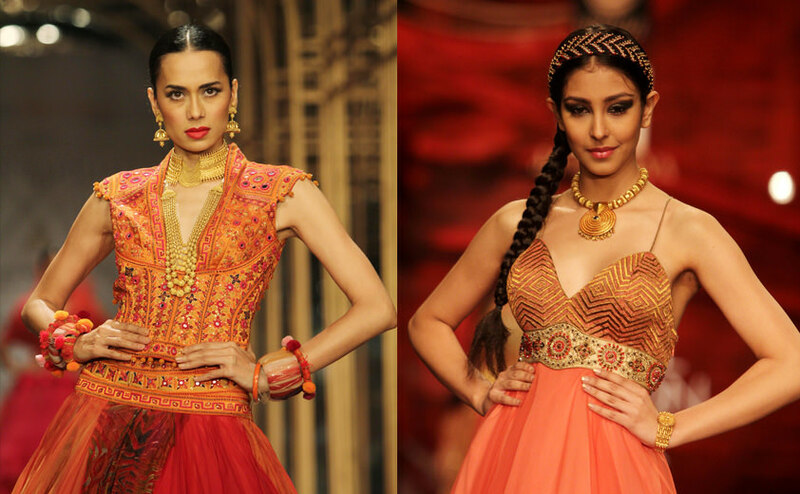 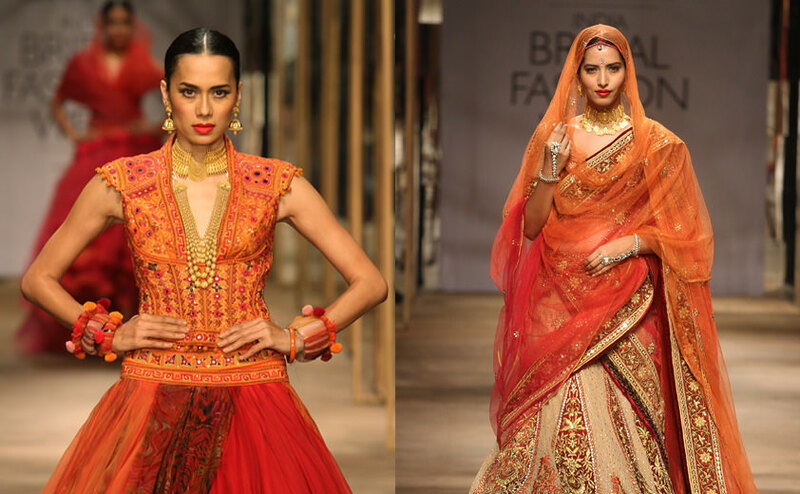 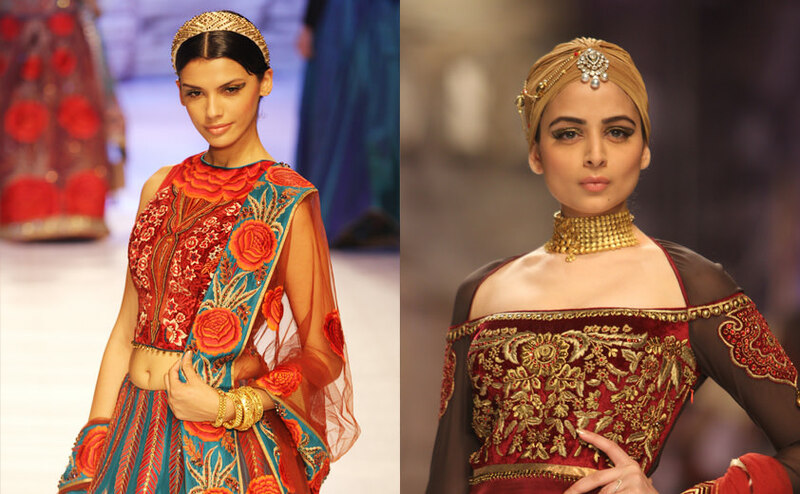 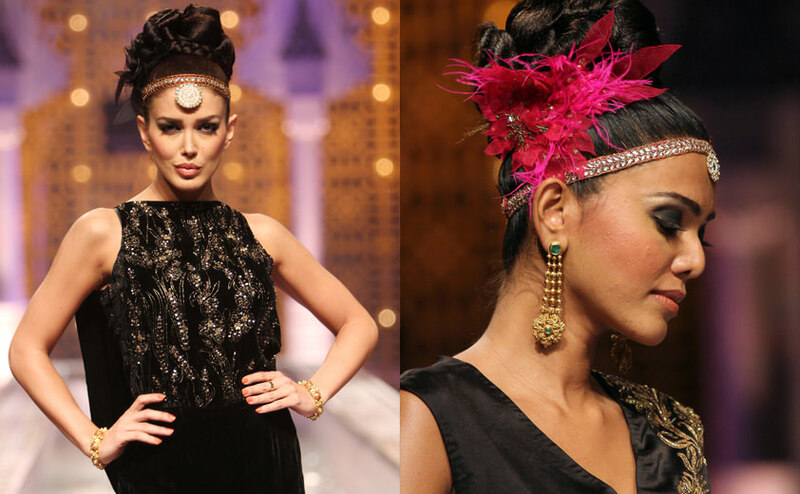 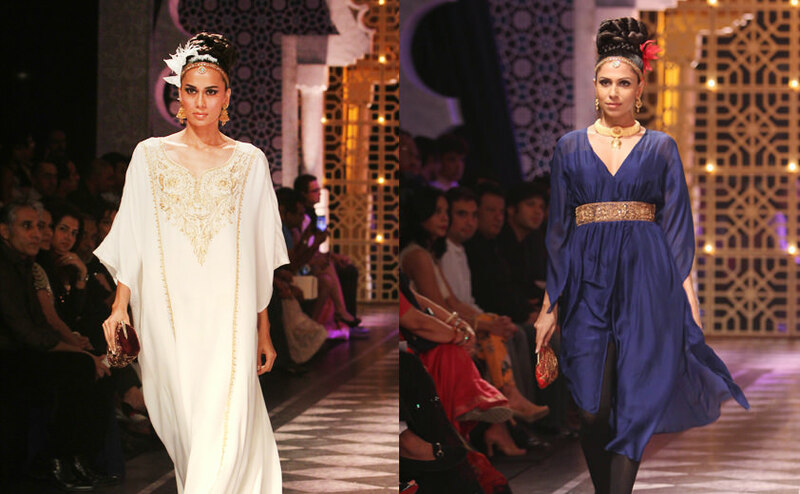 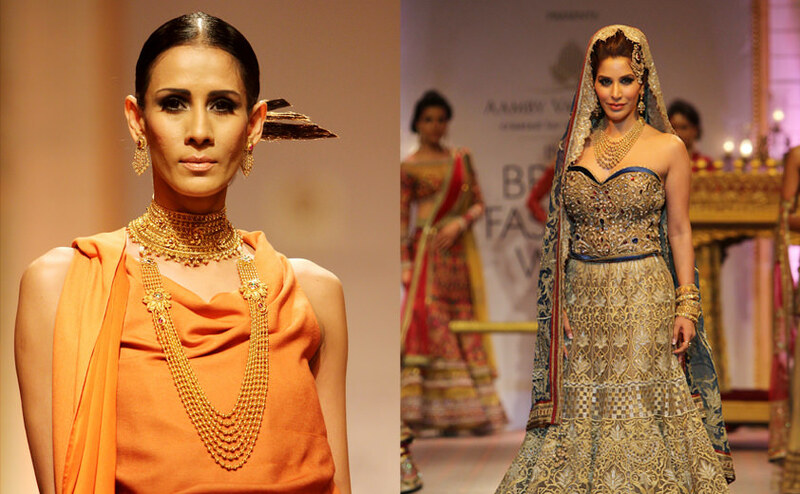 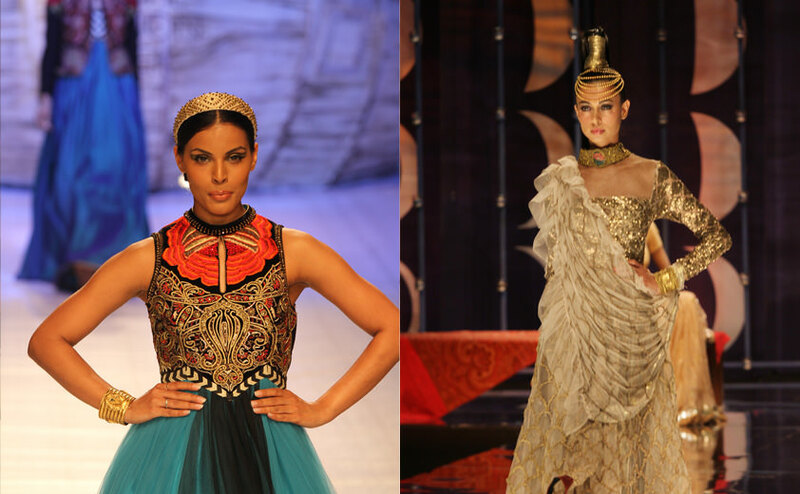 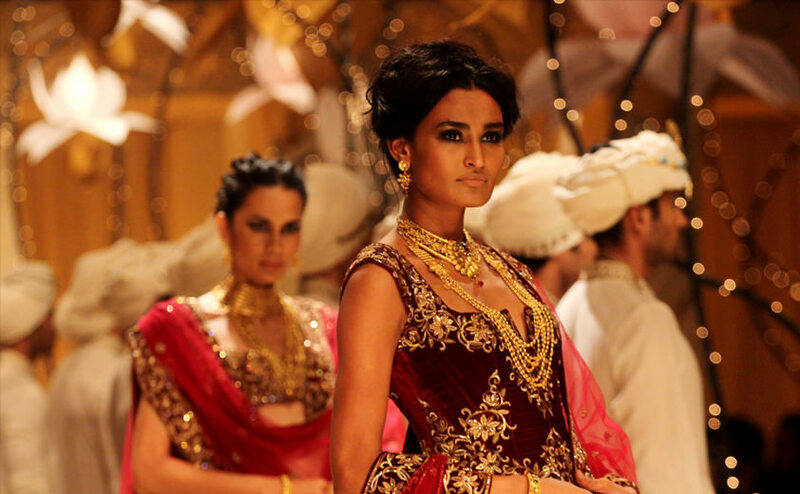 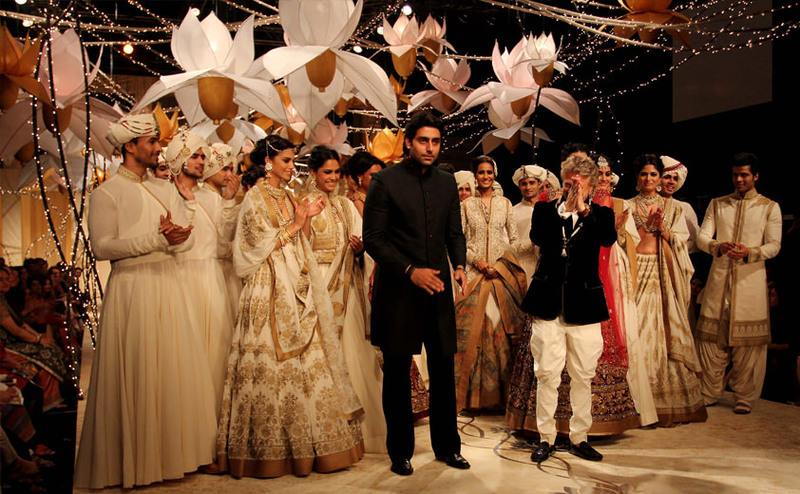 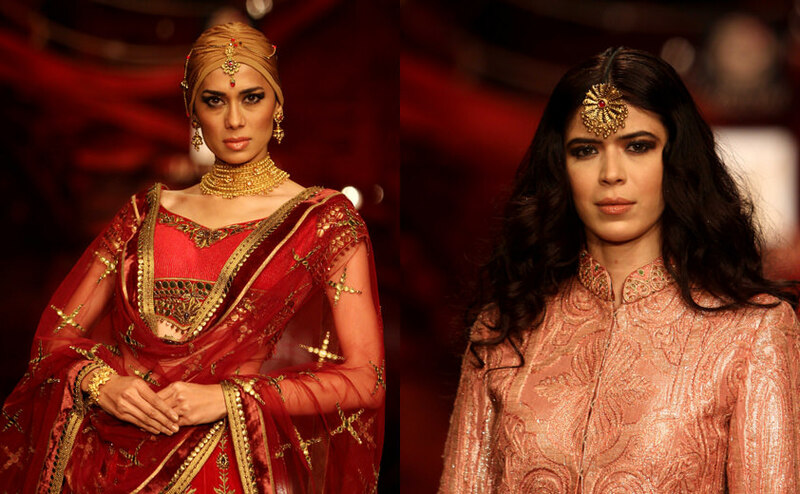 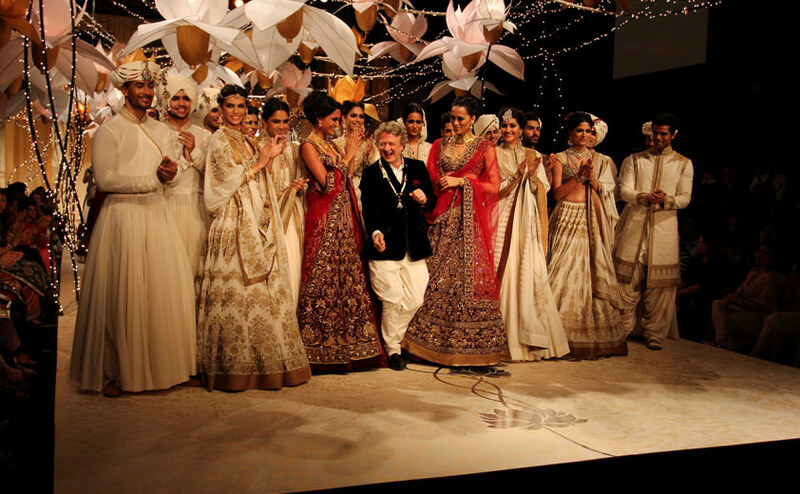 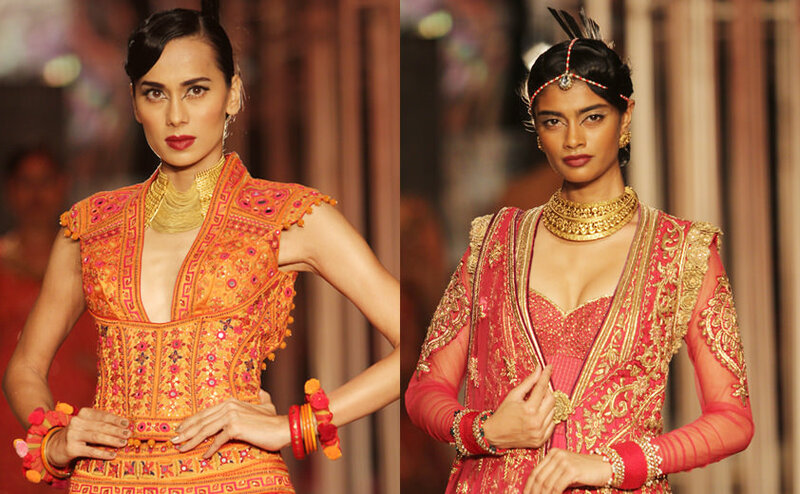 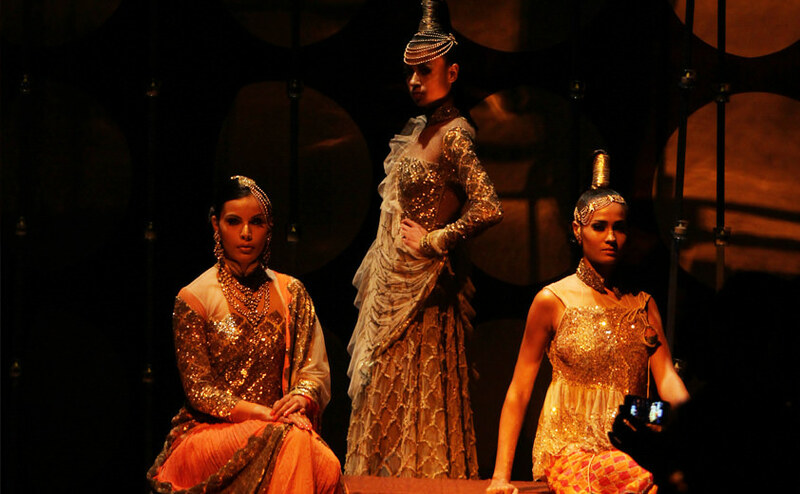 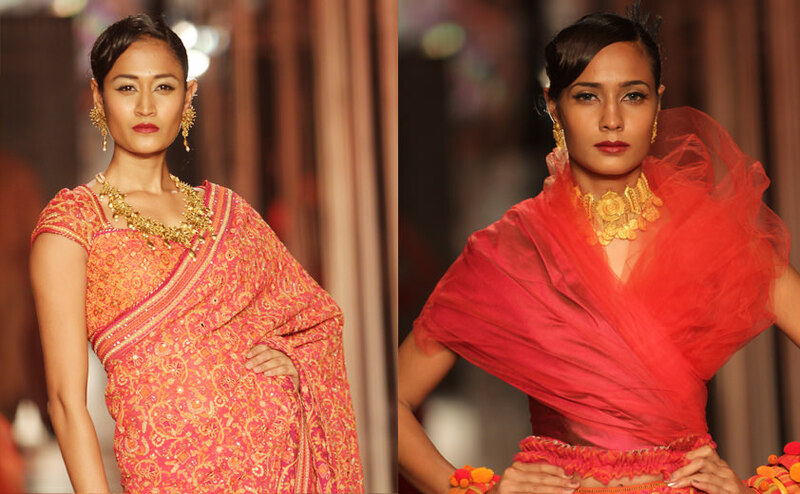 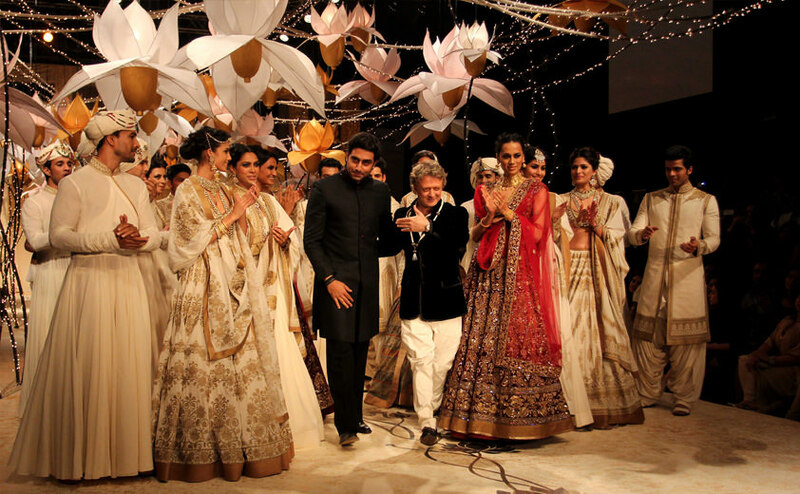 Rohit Bal was also seen embracing Azva jewellery for a memorable evening on the ramp. 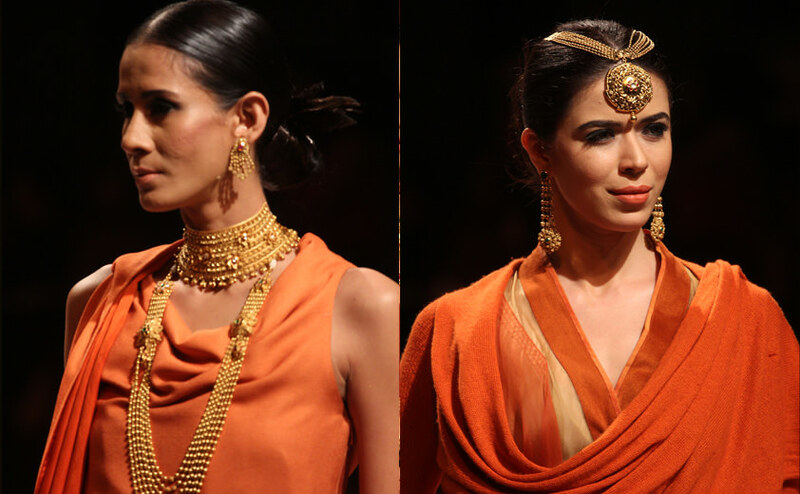 The Azva show saw the ramp glittering in its signature Azva collection with garments in sharp western cuts creating a global charm around the Azva gold jewellery. 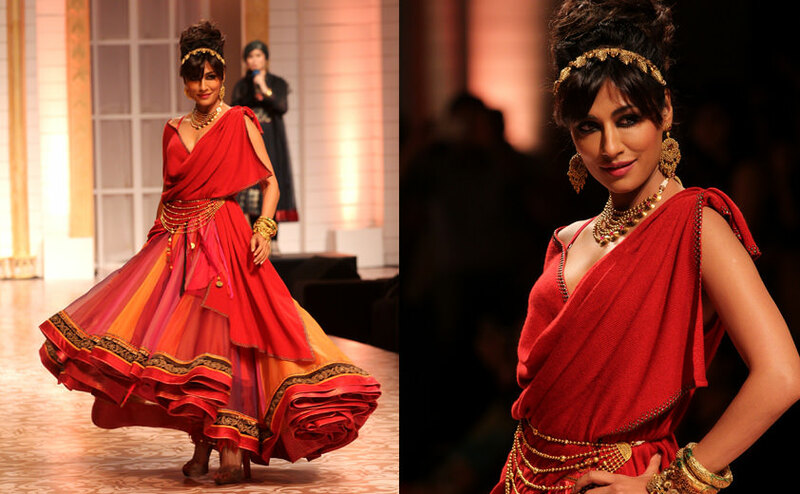 Chitrangada Singh was the epitome of a playfully elegant bride with contemporary bohemian lehenga choli in a fun burst of colours styled by glittering handcrafted masterpieces from Azva. 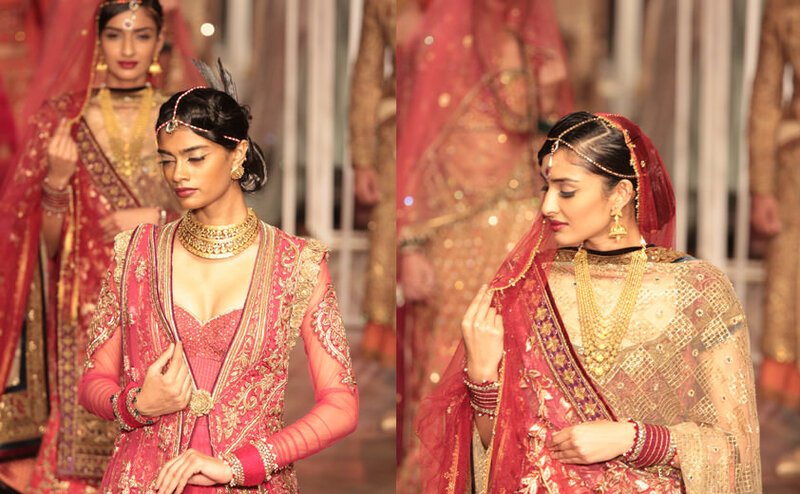 Alternative style features with jewellery made for a twist in the classic gold trend making it a lust worthy look coveted by many a modern bride.